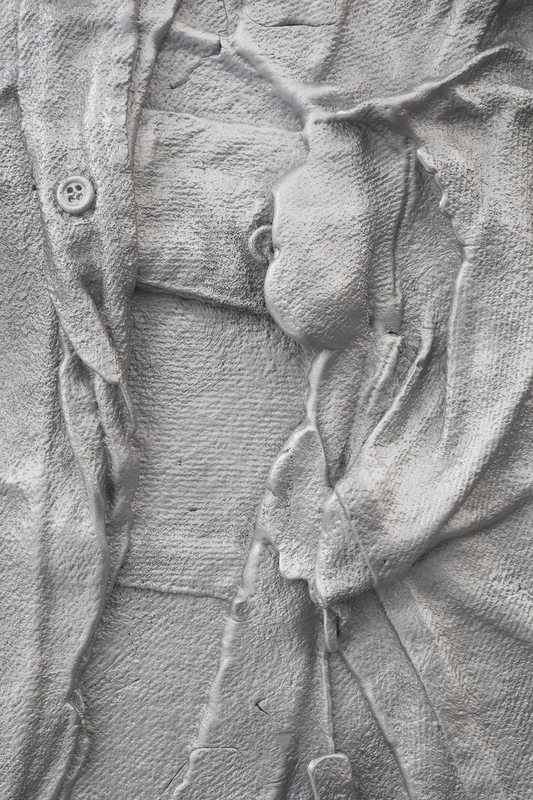 A series of wall hung mono-print reliefs cast in aluminum of work shirts worn while working in the foundry. 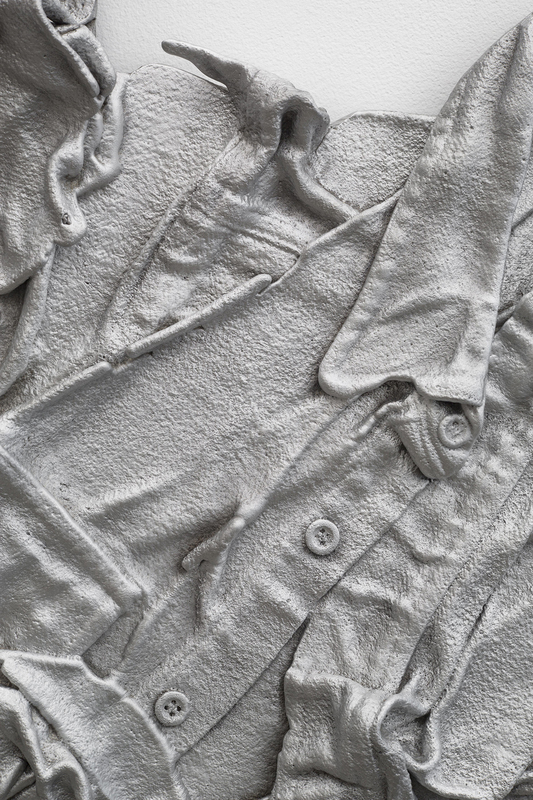 As indexes haunted by absence, they mark the economic and cultural shifts away from industrial labor towards immaterial and affective labor. 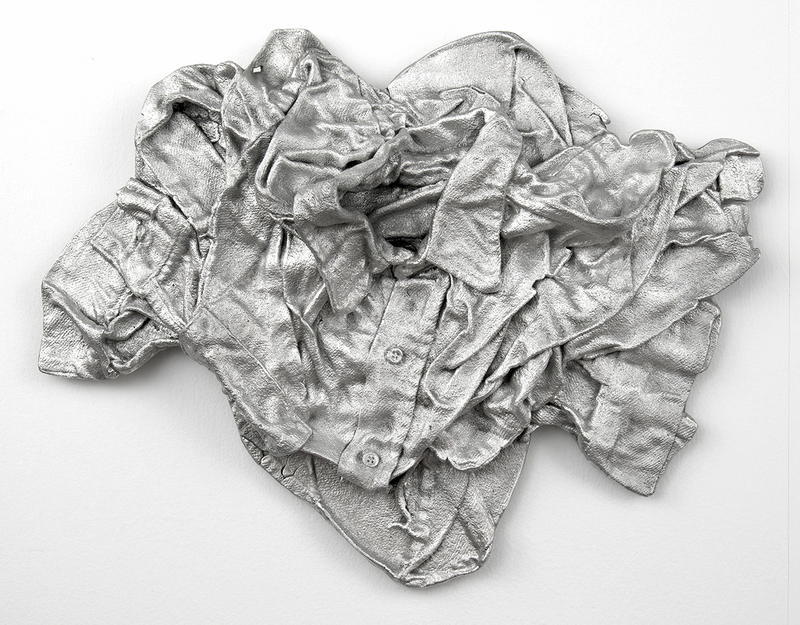 Discard (work shirt), 2013, aluminum, 30 1/2 x 24 3/4 inches. 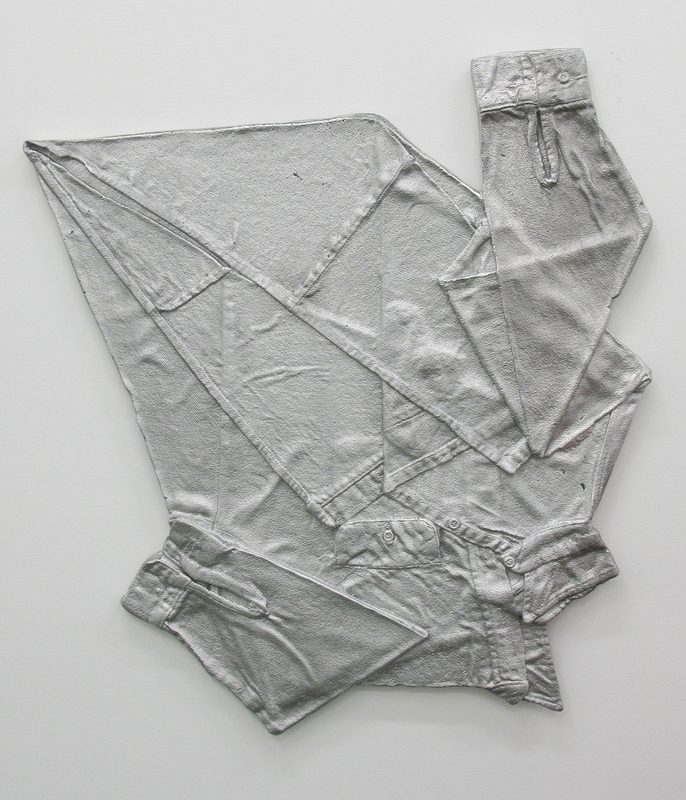 Discard (work shirt), 2013, aluminum, 21 3/4 x 34 1/2 inches. 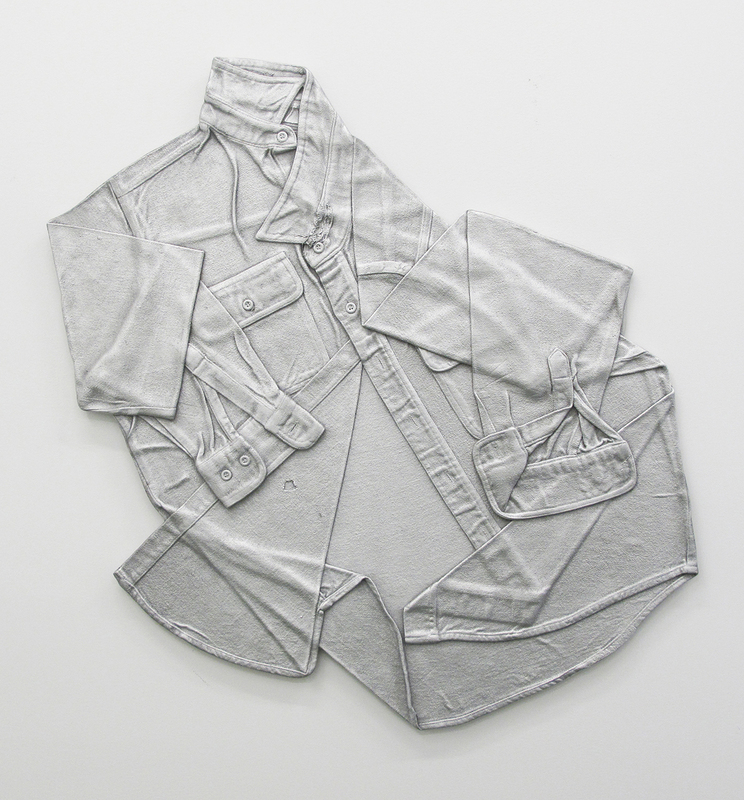 Discard (work shirt), 2013, aluminum, 16 x 20 inches. 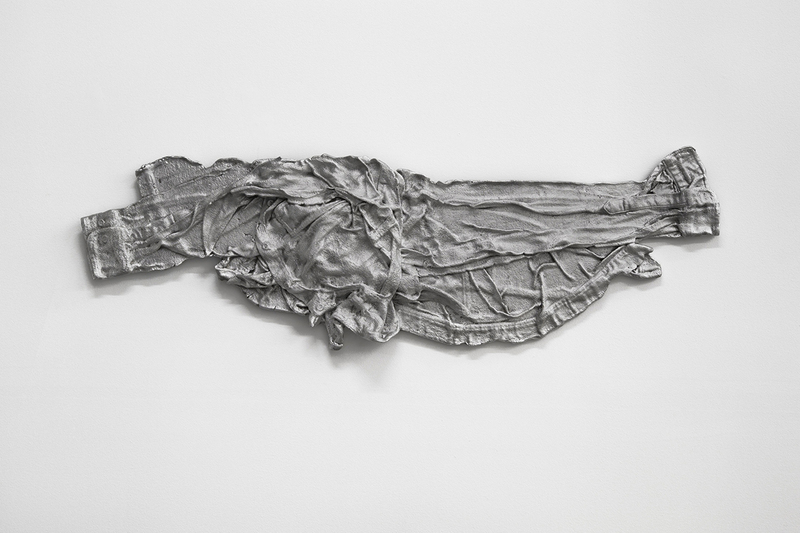 Discard (work shirt), 2013, aluminum, 13 x 42 inches. 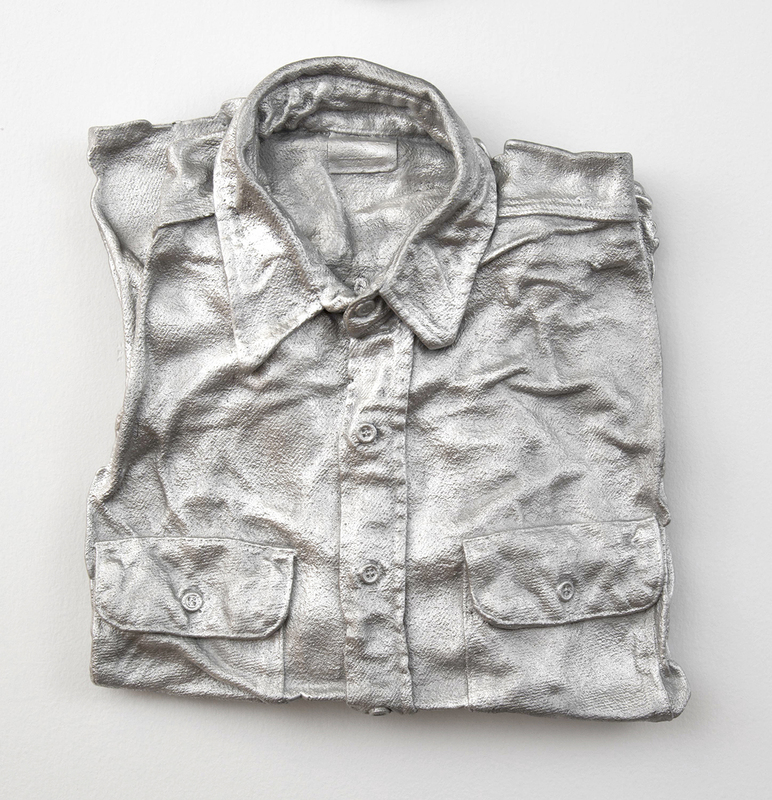 Discard (work shirt), 2013, aluminum, 12 1/2 x 13 1/2 inches. 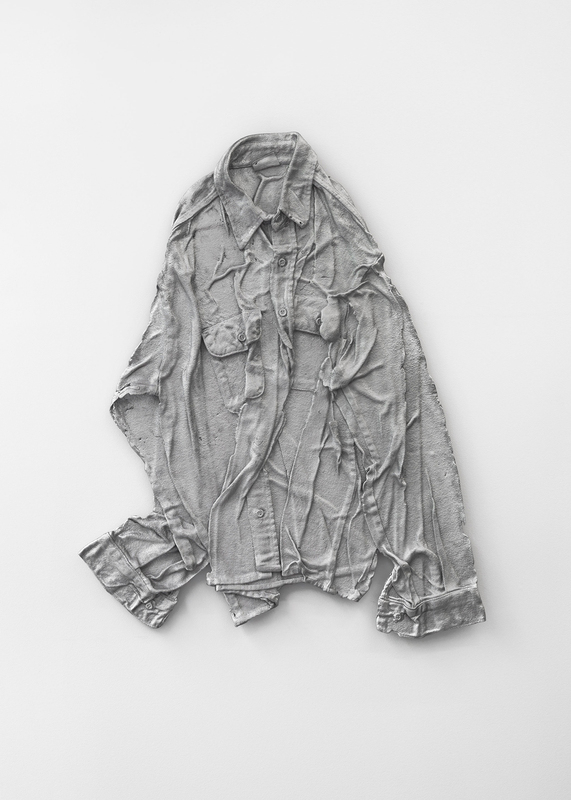 Discard (work shirt), 2014, aluminum, 34 x 28 inches. 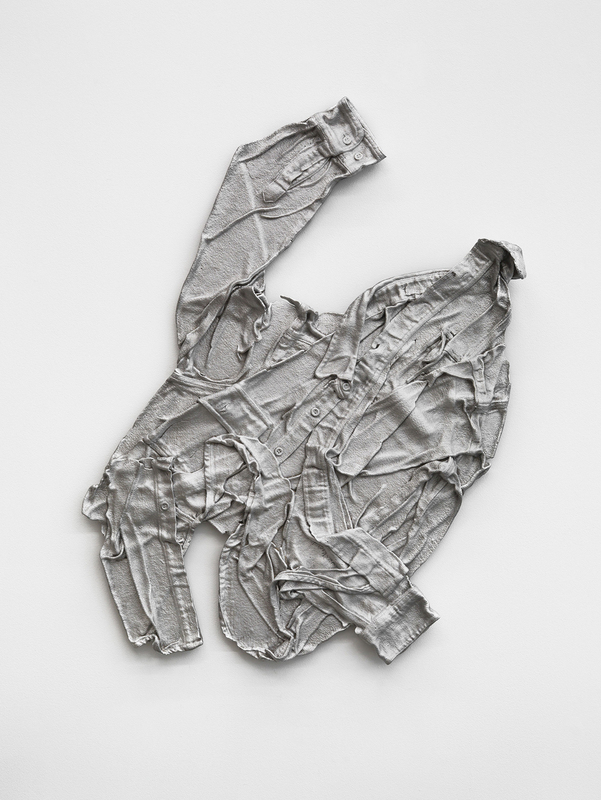 Discard (work shirt), 2014, aluminum, 33 x 30 inches.